Last month’s column began with some comments about the fact that spring had officially arrived, but that Mother Nature was not agreeing. Now, one month later, what do I see when I look out the window? I see my neighbour, large shovel in hand, trying to remove large quantities of some white material from his driveway. At the side of the house I see a delightful, but unusual sight. Yes, there was a beautiful bright purple crocus surrounded by glistening white crystals. The snow is still here. So it is with this month’s column that we stay with the same theme. Last month we were talking about bands in transition evolving one way or another. Here we are with more stories. The Uxbridge Community Concert Band (UCCB) is another band in transition. This time, rather than some gradual change, we have a one-year interruption. Founded by Steffan Brunette in 1992, the UCCB has been silent for a year. Brunette, a high school music teacher, took a year off from his teaching to study composition and do some travelling. Since its founding in 1992, the Uxbridge Community Concert Band has been a volunteer organization from its director down to its youngest player. Its original intention was to allow school musicians to bridge the gap between their spring concert ending the school year and their first rehearsal at school in September. Over the years the UCCB became a band where adult musicians could rediscover their love of playing music as a member of an ensemble. For most of the first 25 years of its existence, the UCCB was run solely through Brunette’s leadership. To encourage new growth and new directions, the band is rebuilding itself with the assistance of a new executive committee. Since the band only rehearses during the months of May through August, committee members are currently planning the recruitment drive, promotional strategies and laying out the performance plans for the coming summer season, all the while learning the processes which were normally overseen by only one. Brunette is no longer jack of all trades. He is now artistic director. It is hoped that by bringing in additional people, the range of talents and skills for running a musical organization will also grow and allow the UCCB to grow as well. Committee members are taking over publicity, membership, logistics, venue booking, transportation, music folder preparation, uniform distribution and concert planning. The UCCB is currently recruiting members for its 26th summer season, set to begin on Wednesday May 23 at 7pm in the music room of Uxbridge Secondary School. Rehearsals will continue every Wednesday until the end of August. The band performs two major concerts in Port Perry and Uxbridge at the end of the summer. The ensemble is non-auditioned and welcomes players who have had at least two years’ of playing experience, so students as young as Grade 9 and adults as old as 90-plus are encouraged to come out and join. For those interested, the band now has a Facebook page; it is simply Uxbridge Community Concert Band. For more information, contact Terry Christiansen at uccb@powergate.ca. Resa’s Pieces first came together in the year 2000. The creation of what has evolved into a very special group was a dream born out of Resa Kochberg’s life experiences, and it was many years in the making. When she was growing, up there was nothing else that she ever wanted to do but study music. As a little girl she would watch her eldest brother wave his arms around as if he were a virtuoso conductor. She says that she could feel the music radiate and come alive visually through his passionate motions. Her very first album of recorded music was Peter and the Wolf. She says that she loved listening to the different instruments mimicking the sound of animals, Peter, the grandfather and the hunters. At an early age her mother gave her some choices for after-school activities. She chose piano lessons. As it turned out, that decision determined her career. After studying piano and playing flute during her high school years, She knew that the only thing she wanted was to study music at university. After graduation with a bachelor of music degree from U of T, she taught music for the Scarborough Board of Education until she put her school teaching on hold to raise three children. As a stay-at-home mom, after so many years of playing music and being surrounded by music every day, the only music she listened to was on the radio. For 23 years her flute never came out of its case. One day she realized that she missed the camaraderie and the excitement of playing music with other people, and the joy of musical expression. She knew that somehow she had to get music back into her life. 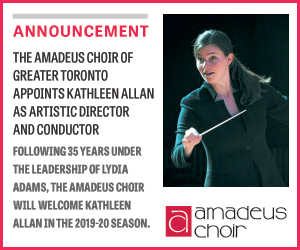 So in 1998 she returned to teaching, and after that 23-year hiatus, she finally took her flute out of its case and joined the North York Concert Band. Although quite rusty, after putting her daily routine behind, she would concentrate on the music. As she says, she was once again surrounded by like-minded people, all of whom wanted to create music together. She soon loved the challenge, the frustration and the sense of accomplishment, as she continued to improve with practice and support from new music friends. That’s how Resa’s Pieces was born. Then, as Resa put it, “one magical day” in late 1998, it actually began. Resa says that one day, she was talking to the music director at the Koffler Centre of the Arts about her idea for a band. The response that she received couldn’t have been more encouraging. “Resa,” she said, “I don’t like your idea – I love it!” Then and there Resa knew that it would happen. “When would you like to start?” the director asked. “How about next September?” That would give her enough time to spread the word and recruit. How many people would join? She was hoping for 18 as it’s a symbolic number for life, and music is so much part of everyone’s life. A few weeks later, while at a party, she took advantage of this great opportunity to announce her idea, and it became the buzz of the evening. Surprisingly, those interested didn’t want to wait until September. Shortly afterwards, with the 18 names gathered, and long before September, they held their first rehearsal at the Jewish Community Centre on Bathurst Street. They began with a basic review of the names and values of the notes. Then all of the fundamentals were reviewed, such simple facts as how to hold the instrument and make the first sound. Everyone left excited and eager to practise. In June 2000 they held their first concert. The band could now play eight notes and seven songs. Seventy-five people sat in the audience, the concert was 25 minutes long and the band got a rousing standing ovation at the end. In Resa’s words: “Members are guided by the mantra, do your best and have FUN.” As for the band’s name, it was chosen by the band members. Then what? The birth of Resa’s Pieces Strings began. After one band concert a violinist approached her and asked to join the band. She felt terrible having to say “no” because stringed instruments require a different approach and, other than a double bass, there is simply no place for them in a concert band. As more and more string players approached, and walked away disappointed, she decided to start a string group. Thus, Resa’s Pieces Strings began in September 2010, not coincidentally also with 18 members. A few years later Resa began wondering about all of those people who’ve never played an instrument but who love to sing? Is it fair that they should be left out of the FUN? No! She knew in her heart that a vocal group had to come next! So, after a successful trial run in the spring of 2013, Resa’s Pieces Singers began. Under the direction of Robert Graham, the ensemble is now in its third season of weekly rehearsals with growing membership and more smiling faces. As is not uncommon for community bands, as they prepared for their “Spring Concert Band Gala,” they found themselves short of people in a couple of spots. Suddenly, I found myself joining Dan Kapp, of New Horizons renown, to play euphonium. If that wasn’t coincidental enough, as we looked over our shoulders, we saw our two spouses. (Or should that be spice?) There they were, two accomplished flute players, playing percussion. So, on Sunday, May 27 at 7:30pm they will present their Concert Band Gala, featuring a wide range of music from rock ‘n’ roll, classical, jazz standards and marches. That’s at the Flato Markham Theatre, 171 Town Centre Blvd. in Markham. As for the String Ensemble Gala, it will take place on Sunday, June 3; the Singers Gala will be on Monday, June 11. After not hearing from him for some time, we just received information from Ricardo Giorgi, conductor of the Strings Attached Orchestra, about their final concert of the year, scheduled for Sunday, June 3 at 7pm, again at Toronto’s Isabel Bader Theatre. With an impressive and varied program planned, they intend to show how they have grown bigger and better over the past year. With that, of course, they are anticipating that they will attract a larger audience. They may have sprung up as a small fish in a very big pond, but it’s time to support them and attend this concert. It’s not possible to list their complete program here, but it varies from Handel’s Arrival of the Queen of Sheba and Villa-Lobos’ Bachianas Brasilieras No. 5 to The Best of ABBA and Pirates of the Caribbean. For more information go to www.stringsattachedorchestra.com.